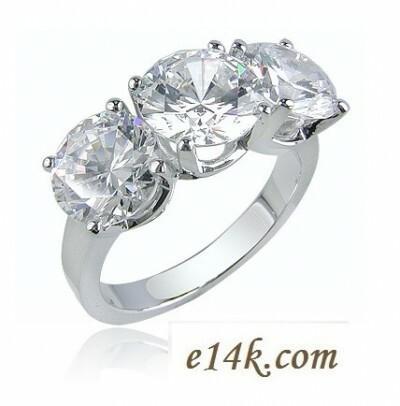 total of 3 carats... Gorgeous, Top Quality Rings, Russian CZs!!! top-quality. Each stone is hand cut and polished to ensure the best brilliance of any cubic Zirconia stone available!